With the remodeling of my house ongoing, I just don't get into my stamp room as much as I'd like to. But, when there are classes to prepare for it necessitates stamping time. Yeah! Isn't this card beautiful! I cased the idea from a fellow demonstrator. You can see her card here. I simplified the card, changed the colors and the embellishments to my liking. You can't see it here, but the wings of the dragonfly are given shimmer by using the Wink of Stella clear. This simple card was also cased from a fellow demonstrator. Once again, you can see her creation here, as well as other designs using the same paper and stamp bundle. 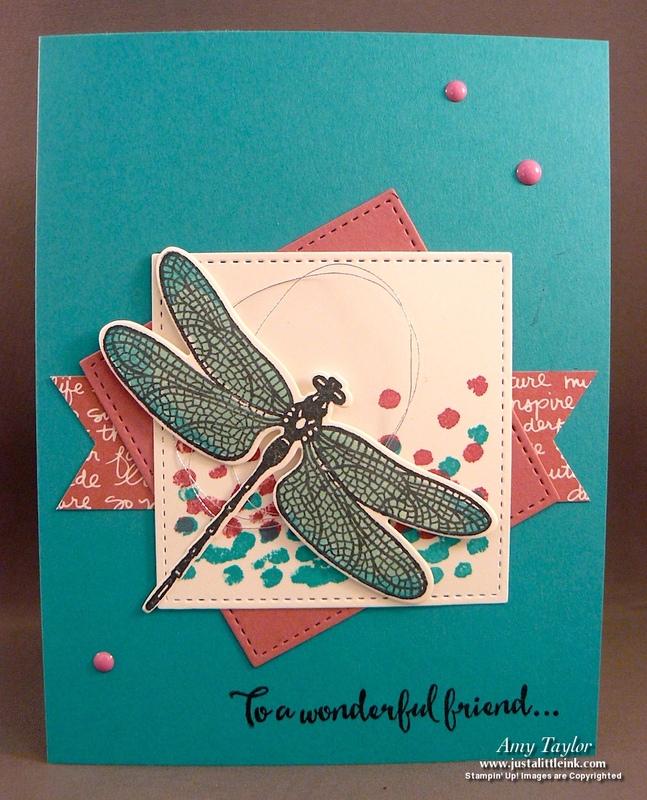 With the addition of the glimmer paper stack with Sale-a-Bration, I couldn't resist having a glimmer Bermuda Bay dragonfly. 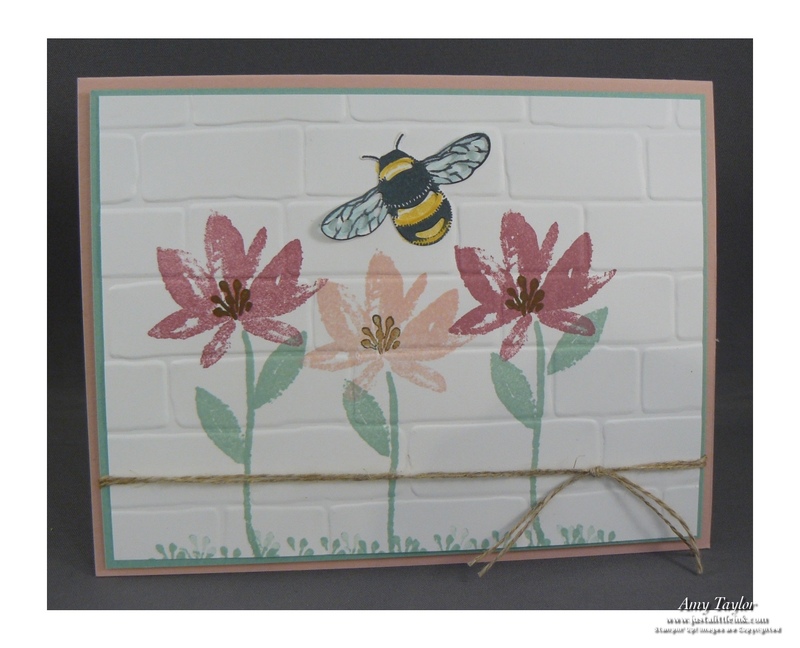 Finally, we made this card with the neat technique of using the Brick Wall TIEF after stamping the flower and bee images. 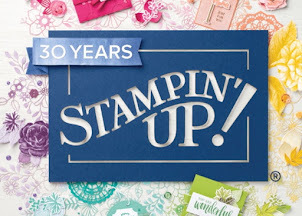 The stamp set is Avante Garden and it's free with a $50 order now through the end of March. 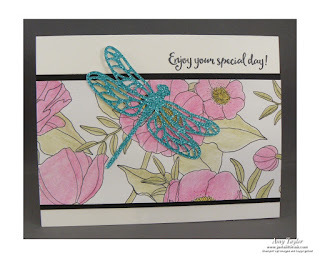 You can find all the supplies to make these cards on my SU! website. so pretty! Love the dragonflies!